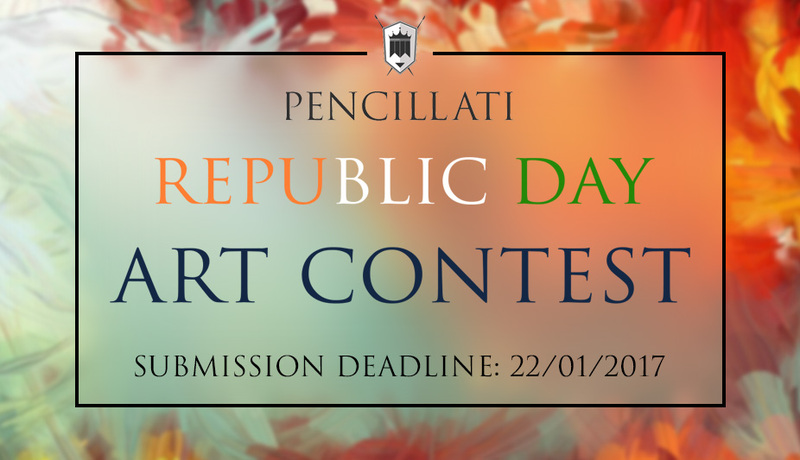 Submissions Open Now: Republic Day Art Contest! Welcome to a world of creativity! We hereby decalre our Republic Day Art Contest, OPEN TO ALL! And this time we have a theme! Read on for more details. The entry to the contest is free! So get your creative juices flowing and send in your masterpiece! The deadline to send in your work is the 22nd of January, 2017! The selection process will take place on the 23rd, 24th and 25th of January, 2017 and the results will be declared on the 26th of January, 2017, the Republic Day of India! You are allowed to only submit ONE image for one particular category. You CAN, however, participate in more than one category. The submitted work must be your own creation and not belonging to any client/project. The piece of art submitted cannot have been submitted to any previous contests. Additionally, we reserve the right to request proof that your entry is your original artwork created solely by you. File size should not exceed 10MB. Files can be submitted in .jpeg and .png formats. The Winner of each category will receive a Rs. 2000/- Amazon Gift Voucher. The Top Three entries for each categories will receive a certificate from Pencillati Studios as well as an honorary mention and have their artwork exhibited on our Website, Facebook page, Twitter page and LinkedIn page. While uploading your work, please mention your Name, and respective categories. You can send in your work here. By participating you agree to the rules and allow Pencillati Studios to feature your work on various Social Media platforms. Don’t forget to keep an eye on our various Social pages for announcements of Winners of the Contest!!! We are no longer accepting Submissions for this contest! Watch our Facebook and Twitter page for Results on the 26th of January, 2017!